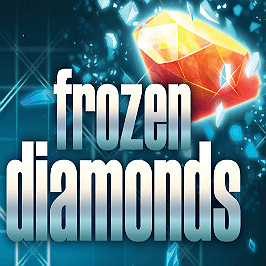 You’ll need to wrap up warm for Frozen Diamonds, a chilly five-reel offering from the Mr Freeze-like boffins at Rabcat (not to be confused with Playtech's actual Mr-Freeze-themed slot). Powered by Microgaming’s über-accessible Quickfire gaming platform, this ice-busting slot with a frozen gems theme features wilds, falling win symbols and great extra free falls. Don’t forget your scarf now! Play Frozen Diamonds for Real Money! Visually, the Frozen Diamonds slot is rather n-ice (sorry). The reels sit handsomely on an icy background, while pretty snow-capped cliffs loom on both sides. A crystal clear, starlit sky caps the top of the game screen. The background music is relaxing yet somewhat mysterious, sounding at times like an old session recording of a tribute act channelling Icelandic post-rock band Sigur Rós. Oddly enough, that’s not as bad as it may seem. Like so many slots designed by Rabcat and run on the Quickfire platform, the Frozen Diamonds slot machine runs a standard five reel/three rows set-up and thus has a total of 20 pay-lines activated at all times. This means that, with a minimum and maximum coin value of 1p and £2 respectively, you can deposit anything from 20p and £40 per spin. The maximum jackpot prize is equal to a cool 1,000-times your bet amount. 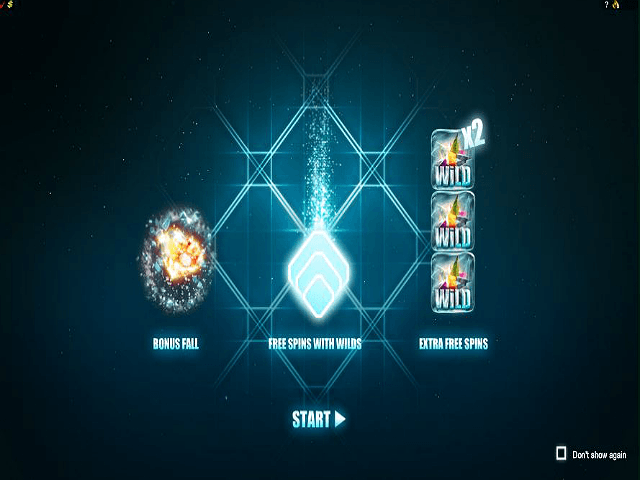 All of the Frozen Diamonds slot’s symbols are enclosed within beautifully rendered miniature blocks of ice. These explode via some pretty sweet animation whenever a winning combination pops up after a spin. Once a payout is made, the rewarding avatars are blasted away and replaced by ones from above. The blasts and drops continue until there are no new winning combos on show. The standard 10, J, Q and K emblems are the game’s lowest-value icons. The highest value are the four different coloured gem stones: purple, red, green and orange. The orange diamonds are the ones to look out for as they’re the beauties that pay out 1,000-times your line bet when you get five in a row. The game’s wild – a multi-coloured star – replaces all others to make a winning combination. 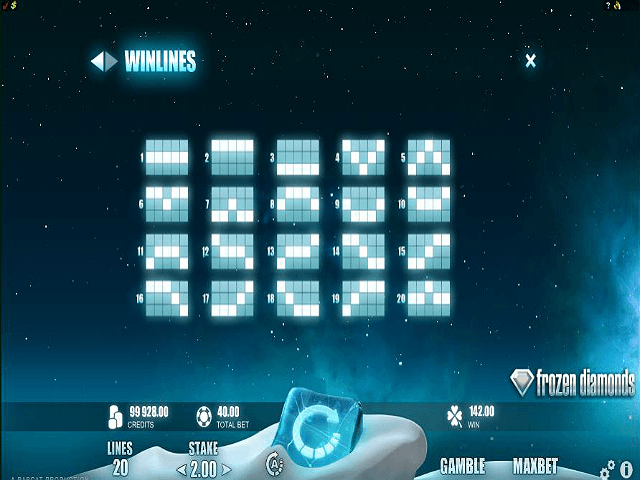 The free spins round is Frozen Diamonds’ main thrill. To trigger it you simply need to collect three winning combos in a row. Manage this and you’ll receive five or ten free spins (depending on the machine’s frame of mind). Take note: Two or three wild symbols will appear on the third reel upon each spin; if you can nab a second tumbling reel combo then you’ll be rewarded with an extra spin. These additional spins play out when the initial spins have ended and always include three wilds on the third reel, plus a two-times multiplier. 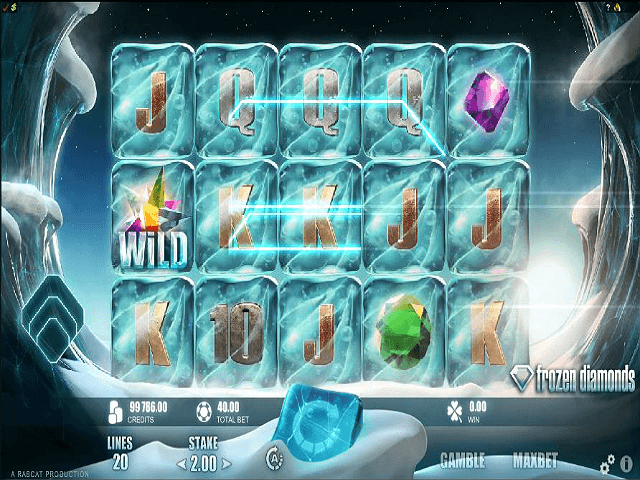 Frozen Diamonds is, in more ways than one, a very refreshing slot. Its good looks and satisfying gameplay tick all the right boxes, and the addition of features like the first and second bonus fall is a masterstroke. More evidence, as if any were needed, that Rabcat appears to be going from strength to strength. Share this Frozen Diamonds Review today! 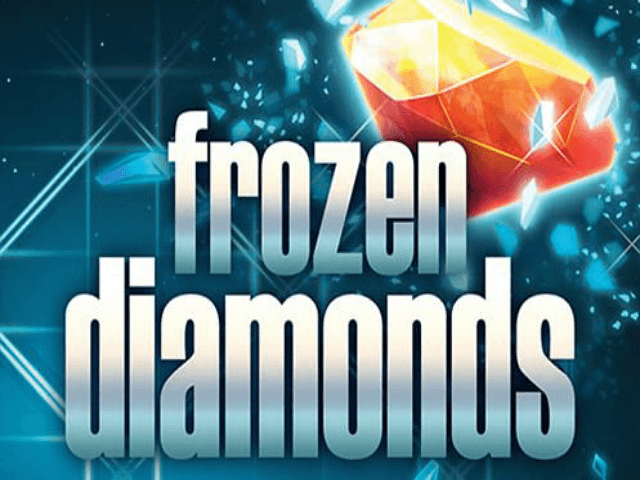 If you like Frozen Diamonds, you'll love these slot titles too!